Recently, I’ve started cooking with coconut oil—sautéing veggies, pan-searing fish, and cooking two-ingredient pancakes—it’s become a staple in my diet. Coconut oil not only tastes great, but it also has some pretty amazing healthy benefits. Here are five reasons why you should add it to you diet! It might help you lose weight. Thanks to satisfying fat, consuming coconut oil will make you feel full more quickly, so you’ll consume fewer calories overall. Additionally, coconut oil contains medium-chain triglycerides, which have fewer calories than other dietary fats that contain long chain fatty acids (8.3 calories per gram versus 9 calories per gram). Medium-chain triglycerides are easily digestible and quickly converted to energy. It can give you more beautiful hair and softer skin. 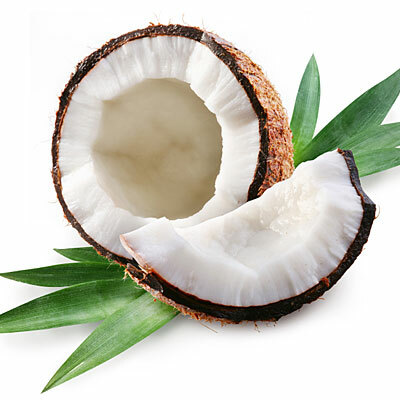 Coconut oil provides essential proteins needed for nourishing damaged hair. Massaging coconut oil into your scalp can even help alleviate dandruff issues. Coconut oil also has antioxidant and anti-inflammatory properties that help prevent signs of aging in the skin. Here’s how you can get softer skin with coconut! It can give you stronger bones and teeth. Coconut oil improves the absorption of calcium and magnesium in the body—both of which are important for healthy teeth and bones. It can help you ward off colds. Coconut oil contains lauric acid, which has anti-bacterial, anti-microbial, and anti-viral properties that might held fend off potential illnesses. A number of studies show that coconut oil can boost a weakened immune system by improving white blood cell counts, which helps the body fight viruses and infections. It can raise your “good” cholesterol. Even though coconut oil contains saturated fats, they’re not the “bad” kind you normally hear about. Instead, coconut oil can actually raise your good HDL cholesterol. It might improve inflammatory diseases. Coconut oil has anti-inflammatory properties, so it may relieve pain associated with inflammation. According to recent studies, it might improve inflammatory diseases, such as ulcerative colitis and rheumatoid arthritis.